Sometimes we wonder that what if there is a camera which is able to capture every single memorable moment in our life so that we could relive those amazing movements again and again. Well! 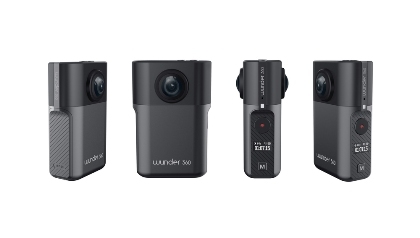 Now this is possible with the introduction of the Wunder 360 S1 which is a compact camera that can capture everything we want. This lightweight and portable camera is created by the China Based Company which is an extremely versatile product. One of its main benefits is that it can deliver in performance without any necessity of extra software. In addition to this, the center point of attraction of this AI smart tracking functionality is CNN means convolutional neural network. The ultimate goal behind this technology is to recognize and follow human subjects when shooting occurs. It is designed with a view to work virtually anywhere and it also comes in a convenient waterproof carrying case. This multifunctional 360 degree camera can be used in order to create 3D models from the palm of our hand. Through this camera, we can do 360 degree video stitching and easy 3D scanning. It is artificial intelligence powered smart tracking with amazing smooth stabilization. Along with this, they are compact, lightweight and portable with waterproof case up to 100 ft. It will help us in making our memories more vivid by turning our 360 degree footage into high density 3D cloud point models or even a virtual tour website for your footage. This innovative AI features also make it a powerful camera along with multi-functions which are compact and wearable.